Department of Social Welfare, Delhi had taken an initiative to open a GENDER RESOURCE CENTRE (STREE SHAKTI SUVIDHA KENDRA) in collaboration with GUILD OF SERVICE, NGO working in SOUTH WEST DELHI for the women belonging to SC/ST/OBC and all vulnerable community, those who are in need of proper guidance, training and information of many kinds. 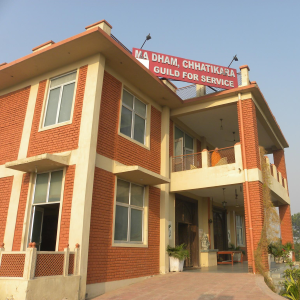 The GUILD’s STREE SHAKTI SUVIDHA KENDRA started functioning from December 2008. The GRC-SK are the community level operating arms of the Delhi Government to reach out to that section of the marginalized in Delhi who remain excluded and unidentified even in the BPL category, and include them in the mainstream society. STREE SHAKTI SUVIDHA KENDRA, CHHAWLA is to Act as a development catalyst for women, particularly those belonging to the under privileged sections of society through social, ,legal, health and economic empowerment..
Economic empowerment through Vocational Training. Social empowerment and financial self reliance through institution of women’s self- help groups,(SHGs) for micro- credit & microfinance. Right awareness through legal workshops and legal aid. Health and nutrition awareness through camps. It also runs the Vocational Training Center for Marginalized Girls. This is supported by the Women’s Rehabilitation Group, New Jersey.